Today, November 30, is the last day of this year’s hurricane season. Hurricanes don’t know that it’s the last day of the season, of course, and in some years they’ve continued well past this date. The hurricane season of 2005, for example, lasted into January 2006; there were so many tropical cyclones that year—among them Katrina and Wilma, respectively the costliest and the most intense Atlantic hurricanes on record—that the prepared names were all used up and six Greek-letter names had to be used. This year, we are only up to Tropical Storm Sean, so far. This time-lapse satellite-image video compresses the entire 2011 hurricane season into 4.5 minutes. Nothing really striking happens until half-way through the season when the impressive bulk of Hurricane Irene moves up the East Coast of the US… But the time-lapse format does give a powerful impression of the swirling of the weather systems and the recurved paths of the storms—the Coriolis force in action! I love paddling at night. Not only for eminently practical reasons—to avoid the heat and humidity of New York’s summer days, for instance—but because of a remarkable visual illusion. As dusk falls, I feel myself paddling faster and faster, until I am simply flying over the water through the darkness. It’s an exhilarating feeling. If you paddle at night, no doubt you know exactly what I am talking about. But when I look at my GPS, or for a moment emerge into the glare of shore lights, the illusion is shattered. I find that I am paddling at my usual daytime speed, if not slower. I’ve often idly wondered what the basis of this illusion was. It seems that it’s by no means limited to paddling. According to this article, runners run faster at night, and cyclists ride their bikes faster at night. Even car drivers drive faster at night—although that might not be just an illusion :-). The explanation given in the article is a relatively plausible one based on well-established neurological mechanisms. When we move through the world, we judge our speed by the speed of the optic flow, the coherent apparent motion of the objects in our visual field past us. But not all objects appear to move at the same speed. Nearby objects appear to move past faster than distant objects. (Indeed, this motion parallax helps us decide which objects are nearby and which are distant, a calculation that itself can generate some potent visual illusions.) Our brain balances the apparent fast movement of nearby objects and the slow movement of distant objects to determine our most likely true speed. 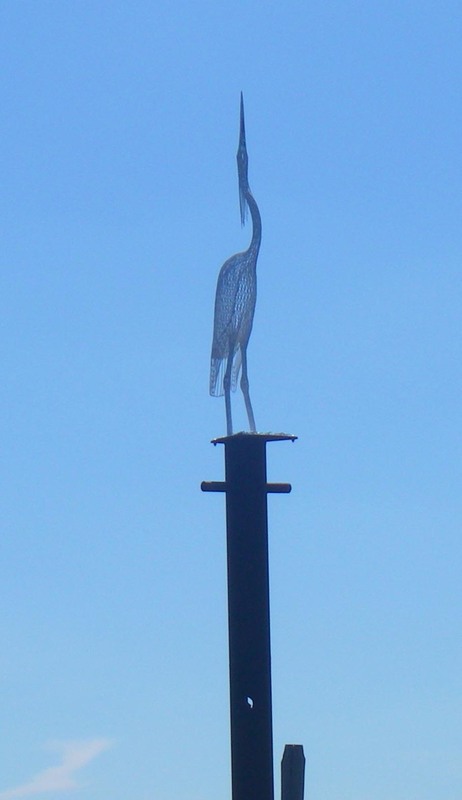 But at night this balance is disturbed. 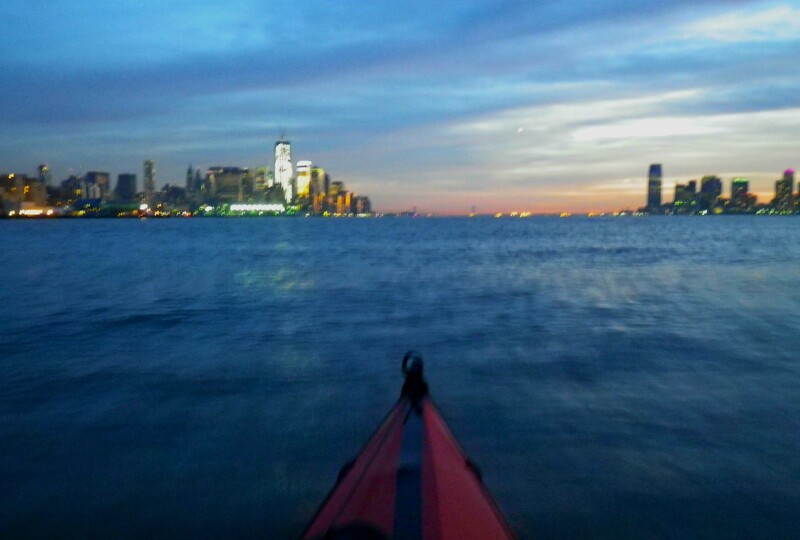 We see, dimly, only the fast-moving nearby objects—the waves around the kayak—and not the distant objects—the distant shoreline whose slow movement would in daytime provide a corrective balance. At night, all the objects that we see are moving fast. Consequently, we conclude that we are moving fast through the world. We couldn’t possibly write about this topic without first referencing Bowsprite’s prior posts here and here. Not only did she accurately (and highly entertainingly) capture the lingo, her whimsical drawings are one-of-a kind! 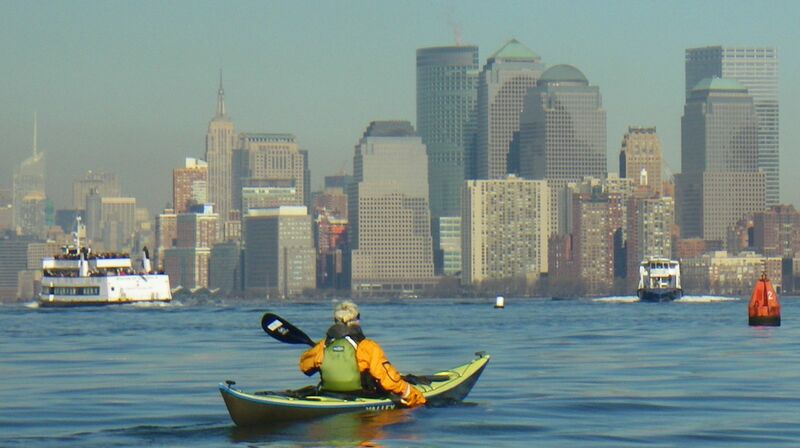 When out kayaking in New York Harbor, we carry marine radios for several reasons: To call for help if something goes wiggy; to stay abreast of developments on the water; and, where appropriate, to advise larger vessels of our intentions. But one of the more captivating aspects of kayaking with a radio in the harbor is simply the opportunity to listen to exchanges between the captains of commercial vessels. 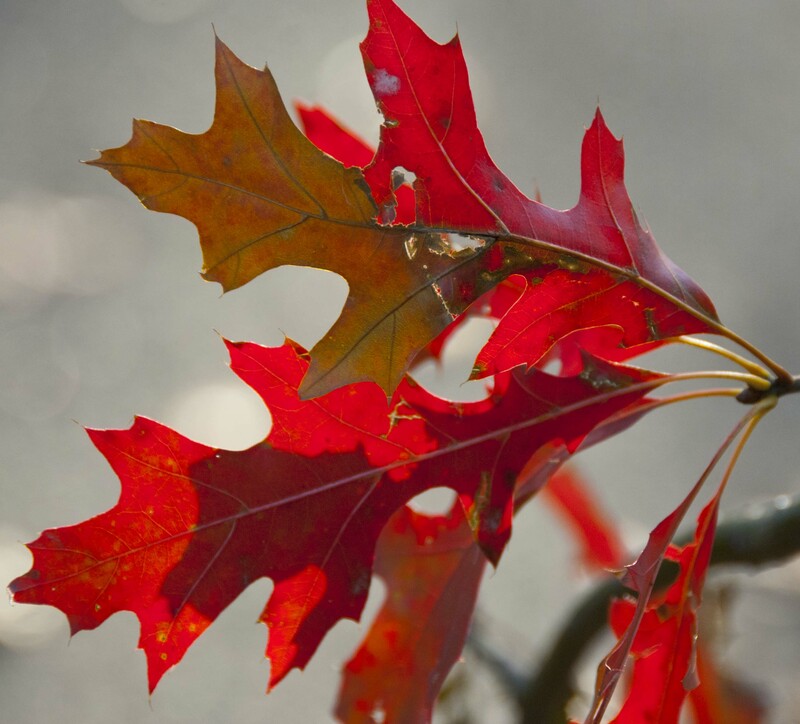 Despite the hiccup of the Halloween snowstorm, Fall has had a long run this year. The colors in New York City’s Central Park have been glorious. But now, in late November, they are finally coming to an end. It’s raining, dark, gray, and the trees are rapidly losing their last leaves. So, as farewell, here are some highlights of the Fall colors of 2011. Happy Thanksgiving! The individual photos, and many others, are here, here, and here. 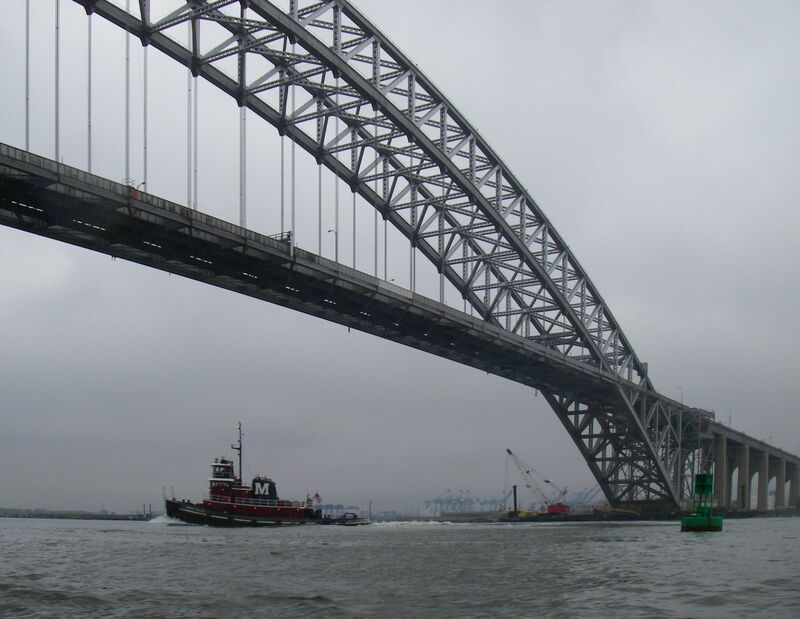 Yesterday, I wrote about the Bayonne Bridge’s 80th birthday. 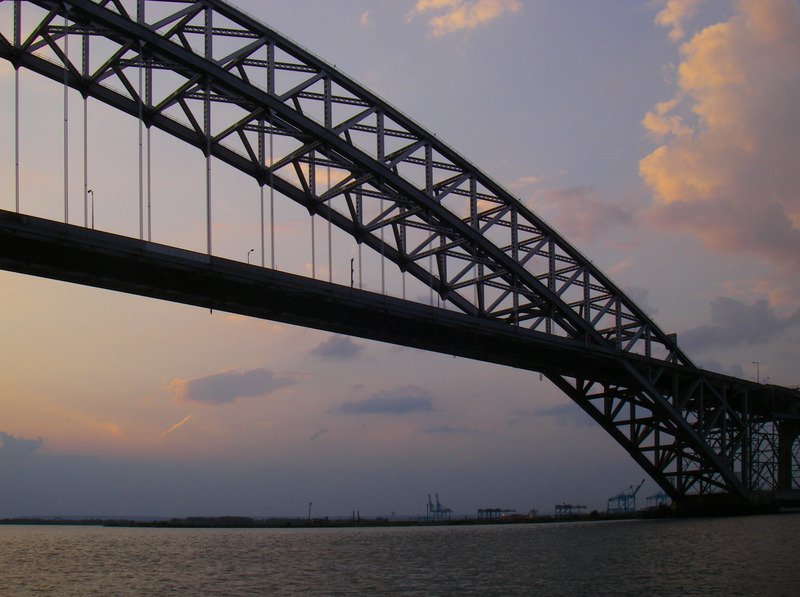 The Bayonne Bridge is one of the loveliest—possibly even the loveliest—bridge in New York Harbor. But I neglected to mention something in that post. Not because I’d forgotten, but because I don’t like to think about it: Current plans are for the Bayonne Bridge to undergo a structural makeover. The roadbed of the bridge is being raised from 151 feet at high tide to 215 feet to accommodate the new generation of post-Panamax container ships.